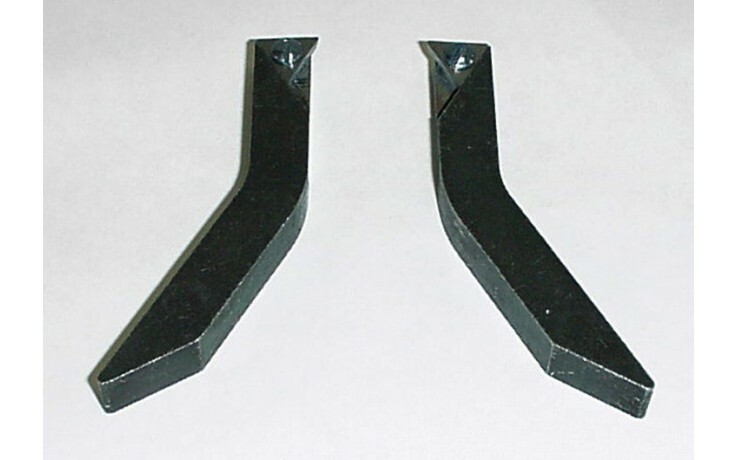 Right & left holder set, 3/8". The extended length and offset reduce hub-glange clearance problems increasing lathe rotor coverage for greater profits. Fits Ammco 6900 and 6950 twin cutters. Uses positive rake 7681 or 6918 carbide tool bits.